What makes bubbles in a bubble bath? Why don't eggs break under a chicken? Come and find out! How? 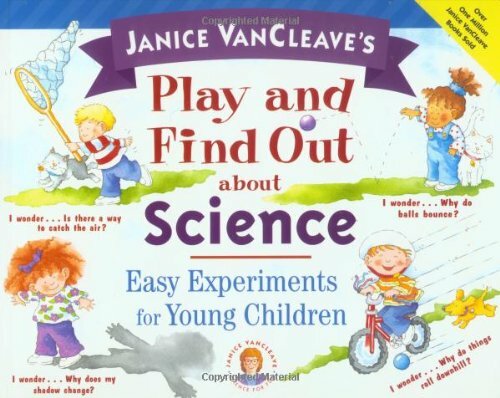 By choosing one of the 50 simple experiments in Janice VanCleave's Play and Find Out about Science. Your child will discover the answers to lots of fun questions as you team up to play together and explore the wonder of our world. Each experiment includes illustrations, a list of easy-to-find materials, and simple, step-by-step instructions.